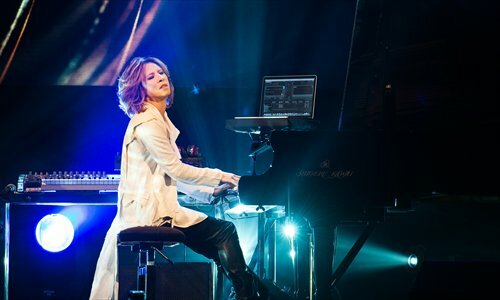 X Japan, one of the Japan's biggest rock bands, will play in the 12,000-capacity SSE Arena Wembley in London next year as it wins an increasingly large international fan base. The concert will come after the release of their first studio album in 20 years and a documentary on the iconic band, digital ticketing platform AXS said Friday. The group's sixth studio album, and first since 1996's Dahlia, will be released on March 11, 2016, with the show at the 12,000-capacity SSE Arena in Wembley in north London happening the following day. Tickets sales for the concert began on Saturday. The live performance will be accompanied by the world premiere of an as-yet-untitled film directed by US filmmaker Stephen Kijak that "chronicles the evolution and ground-breaking history of Japan's most iconic rock band," AXS said.